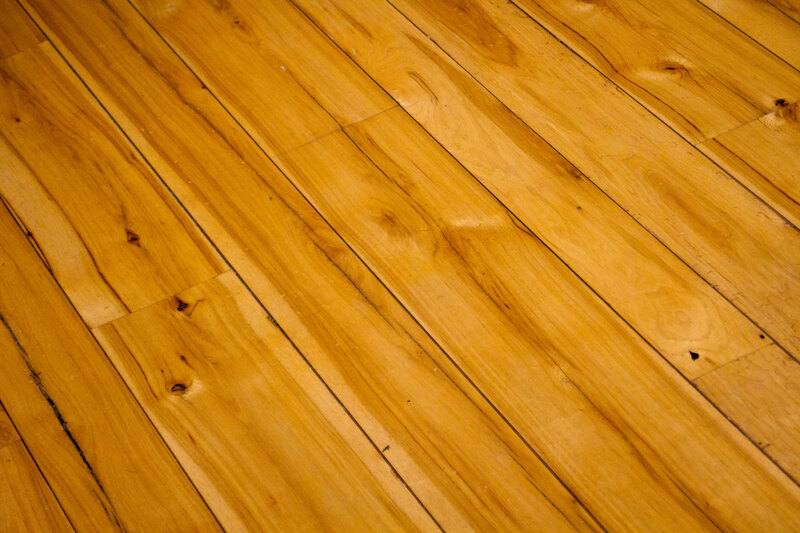 Bingham’s reclaimed Hickory flooring is the hardest North American reclaimed hardwood species that we have to offer. With its natural density and its hundreds of years of strength and resilience from maintaining antique structures, this species can hold up in the toughest conditions. With varying color tones from golden blonde to a richer chocolate brown, it still maintains many of the striking characteristics of its newly sawn counterpart. However, due to the aging process and years of past use, there is weather checking, minimal nail holes and insect markings present. The coarse texture and rich tones enhance its natural beauty. Adding an oil finish lets the true colors come alive. Reclaimed Hickory is generally sawn from antique beams and sleepers that hold up the structure. A sleeper beam is hewn flat on the top and tends to be round on the sides, sometimes still containing the bark from when the tree was originally cut down. Sleep beams are the main support structure of a barn and can be a range of oak, hickory, walnut and other hardwood species. Due to limited availability this product can be hard to come by. Lead times will be longer than usual and will be dependent upon supply of rough stock.